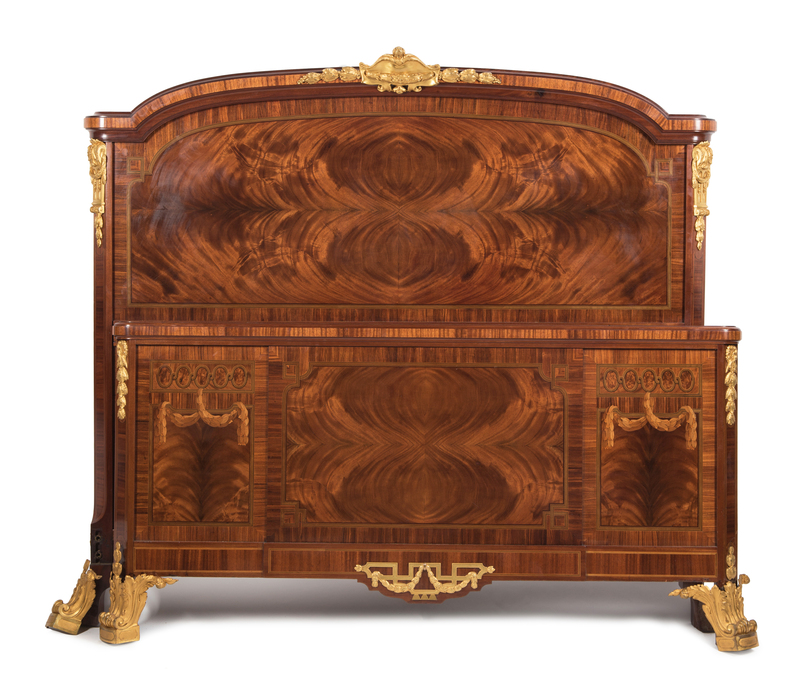 An exceptional 19th century French marquetry queen bed in excellent condition. 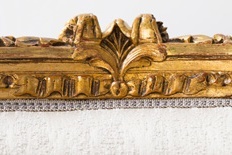 The flame mahogany head and foot cross-banded with tulipwood, embellished with ebony and sycamore string inlays and the foot further decorated with inlaid swags of leaves and retains the original finely executed ormolu in the form of neoclassical motifs on head, foot and side rails. We attribute this bed to Linke. In excellent condition. Footnote: Francois Linke was a leading French ebeniste in the latter half of the 19th and well into the 20th century until his death in 1946. He is considered to be one of the greatest and most sought after cabinetmakers of his time. Born in 1855 in Bohemia, Czech Republic, he quickly developed an interest in woodworking, taking up an apprenticeship as a cabinetmaker whilst still a very young man. By 1875 he had moved to Paris where many aspiring young craftsmen were based, and where in 1877 he finished his training. 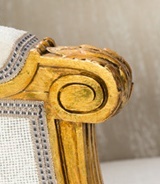 Linkes inspiration came from the old regime styles of Louis XV and Louis XVI, however he wanted to create a new style, something modern and unique that would combine Rococo and Art Nouveau styles. In doing this he partnered with the sculptor Leon Message. 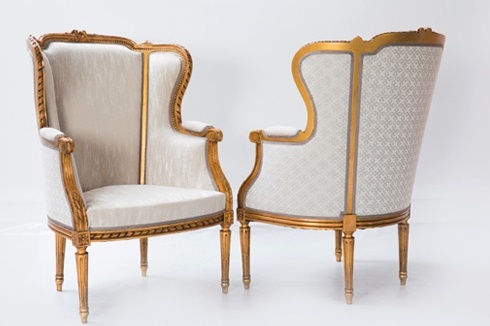 With the recent completion of the Eiffel Tower attracting much attention, Linke went to great efforts to outshine fellow exhibitors at the Paris World Fair in 1900, setting out to create some of the most ambitious pieces of his time. Much of his fame came from exhibiting at international fares and he was honoured by critics at the Universal Exhibition in Paris in 1900, where his Grand Bureau took the gold medal. The quality of his craftsmanship was unrivalled, and after the Frist World War he undertook what was possibly the largest furniture commission ever conceived at the Ras al-Tin Palace for King Faud of Egypt. 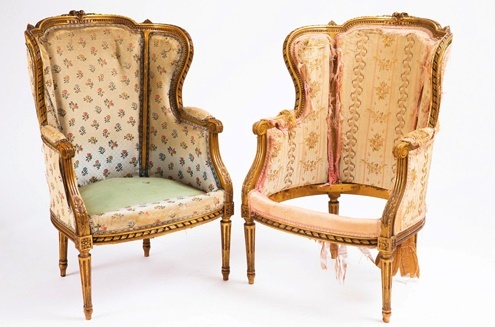 Linkes business continued to flourish and ‘La Maison Linke’ was firmly established as the leading furniture house in Paris up until the Second World War.